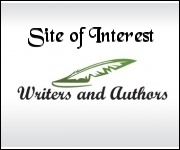 This site of interest was sent to me by Writers and Authors reader Linda Malone. I totally agree with Linda when she says this is "a cool web dictionary". It is an interesting, useful and fun to use tool. With more than 6 million definitions, So Slang is the biggest hub for street definitions of each and every word in the dictionary. These definitions are added by people all over the world wide web. If you'd like to add a definition, click here. SoSlang gives you definitions which are explained in an easiest way possible making sure its simple enough for you to grasp. We try to show as many real examples as possible for each word. These examples are ranked by how useful we think they are in helping you understand the meaning of a particular word, especially words that may not have traditional dictionary definitions. For instance, here is an example of the word 'douche' in a sentence. In Short, So Slang is the biggest hub for street definitions of each and every word in the dictionary. Well worth a look.